It’s unquestionable 2017 will be remembered as a year of momentous European elections, with the Netherlands, France the UK and Germany all holding pivotal votes. While the results in some cases have been tough to predict, one thing is certain – voter turnout across the continent is at its lowest point ever. Setting out to determine how European political leanings had changed in the century since 1918, Professor Simon Hix, a political scientist at the London School of Economics, and colleague Dr. Giacomo Benedetto, a politics researcher at Royal Holloway, University of London, collated national election records from 31 European countries dating back to 1918, and allocated parties voted for to seven "families" ranging from the radical left to the radical right. ​While not originally a research objective, the pair quickly found they'd stumbled across a surprising insight — from 1990 onwards, non-voters made up the single biggest block of all voters. It's no secret to political scientists that voter engagement in elections has fallen since the 1980s, but neither Professor Hix nor Dr. Benedetto had expected "none of the above" to be the ascendant ideology of the twilight years of the 20th century — and the dominant standpoint in the initial decades of the 21st. The findings are stark — from 1945 until the early 1980s, on average around 80-85 percent of European voters turned up to the ballot box, but since then, electoral participation has fallen steadily, to just under 65 percent in 2017. However, this lethargy has not spread universally across populaces — voting rates have generally fallen among young people, but remain high in the generations born in the initial years and decades following the Second World War. In the UK, this generational divide is particularly striking. The difference in voting rates between electors aged over-55 and under-35 is around 35 percentage points, triple the average for countries in the Organization for Economic Co-operation and Development (OECD). In each general election that took place from the 1960s up to the 1992, around 66 percent of young people turned out to vote — since then, turnout rates have been in sharp and steady decline. In 1997, the youth turnout rate dropped to 56 percent, then 41 percent in 2001, then 38 percent in 2005. 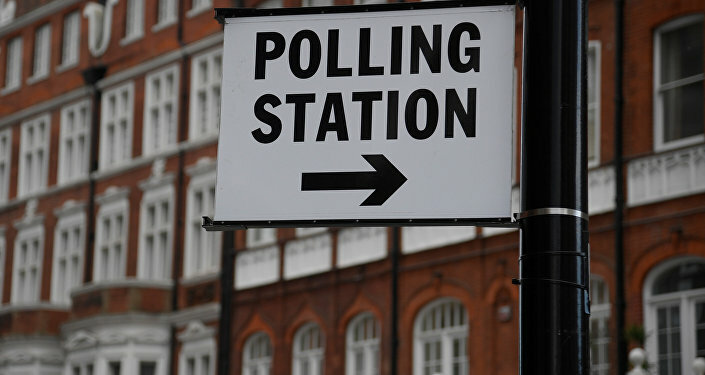 In short, in the 13 years between 1992 and 2005, youth turnout at UK general elections dropped by 28 percentage points. Unless the June 8 general election bucks the trend, the country will retain its world-leading status in this regard. ​What accounts for these developments? Professor Hix and Dr. Benedetto attribute it to older generations valuing democracy more, given they and/or their parents and relatives fought in wars and campaigned to secure their right to vote, while younger generations who have known no such challenges take these rights for granted. ​That may well be true — although it's not the sole explanation. Professor Abhinay Muthoo from Warwick University's Department of Economics, believes the trend's origins in the 1980s could be significant. The era significantly disrupted traditional voting patterns, with poorer voters looking to economically right-wing parties for the first time and vice versa — and many affected adversely by the then-new economic policies of the era simply stopped voting altogether out of disillusionment. These people then passed their lack of engagement on to their children, and they to theirs, and so on. Still, Professor Muthoo, who has conducted extensive research into the issue of why people don't vote, acknowledges a definitive answer remains elusive. "In truth, nobody really knows why young people have begun voting so much less. The single most important factor that explains why people vote is how they feel about democracy itself. A potential voter is most likely to vote if they believe they derive benefits from living in a democracy, and it is important to support that system by voting — but an 18-year-old with this belief is still about 25 percent less likely to vote than a 60-year-old with the same view," Professor Muthoo told Sputnik. #GE2017 voting intention by age / UK population by age. ​As a result, he believes more research must be conducted. Concrete resolution of this issue is certainly vital for Western democracies — it may well be that younger generations who don't engage with the political system currently may never vote in future. Moreover, in what will be a troubling development for many, the only other voter grouping that has shown signs of growth since the turn of the century is the far-right. Professor Hix and Dr. Benedetto's work illustrates the proportion of votes for far-right parties in Europe now matches the levels of the early 1930s.